Posted by Stuart Herbert on September 30th, 2010 in Desktop Wallpaper, Travel Photography. 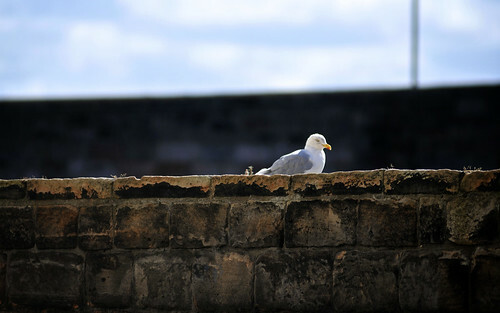 Whilst I was working on photographing the bridges for this week’s desktop wallpaper, I was being watched by this gull, which very happily sat on a nearby wall keeping a beady eye on me. Posted by Stuart Herbert on September 30th, 2010 in Cardiff, Leisure, Modern, Single Shot Series. 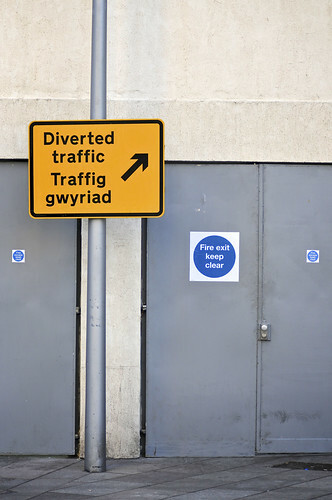 The work to partially pedestrianise St Mary’s Street in the centre of Cardiff has led to some amusingly placed “diverted traffic” signs in the area. This one is my absolute favourite, as it appears to be directing traffic into the fire escape of one of the city centre pubs.